Although most clinical guidelines recommend against opioids for patients with chronic back and musculoskeletal pain, opioids still are prescribed frequently for these conditions. In this randomized trial, conducted in the Minneapolis Veterans Affairs system, researchers randomized 240 patients (mean age, 58; mostly men) with moderate-to-severe chronic back pain or hip or knee osteoarthritis pain to flexible opioid or nonopioid regimens. Patients who were receiving long-term opioid therapy were excluded, as were those with substance abuse disorders or poor prognoses. Opioid regimens started with immediate-release morphine or oxycodone or hydrocodone/acetaminophen and progressed to sustained-action morphine or oxycodone or transdermal fentanyl, all titrated to 100-mg morphine-equivalents, as needed. Nonopioid regimens started with acetaminophen and nonsteroidal anti-inflammatory drugs (NSAIDs) and progressed to tricyclic antidepressants, gabapentinoids, topical analgesics, serotonin-norepinephrine reuptake inhibitors, and tramadol as needed. Patients pursued nonpharmacologic treatments as desired. Both groups were monitored in-person monthly until stable; subsequently, patients were monitored every 1 to 3 months (usually by telephone). At 12 months, improvement in pain-related function was similar between the two groups. Pain intensity was significantly lower in the nonopioid group than in the opioid group, although this improvement was of borderline clinical significance. The opioid group had significantly more medication-related symptoms; adverse events did not differ between groups. In 1980, Jane Porter and Hershel Jick published in a prominent medical journal the results of their study of pain among hospital patients. Number of Americans over age 12 addicted to prescription pain relievers in 2015. Average number of Americans who died every day in 2016 from opioid overdose. The percentage of all opioid overdose deaths that came from prescription medications. The number of opioid prescriptions filled in 2016 in the U.S. Number of people hospitalized in 2014 from accidental opioid overdoses, enough to fill Yankee Stadium. Of course, pain is not a vital sign. There’s no objective test for it. This letter-to-the-editor of a prominent medical journal was often misinterpreted as implying opioids were not-addictive. Today, Purdue Pharma publicly supports state and federal programs to fight the opioid epidemic, including encouraging prescribers to consult prescription-drug-monitoring program databases and repeating the CDC’s call to shorten the duration of first opioid prescriptions. The drug company distributed the CDC’s guidelines to prescribers and pharmacists when they were first released. These can be good for putting on makeup, doing your nails, or any number of odd jobs around the house. But never stick them — or anything else, for that matter — into your ear canal. 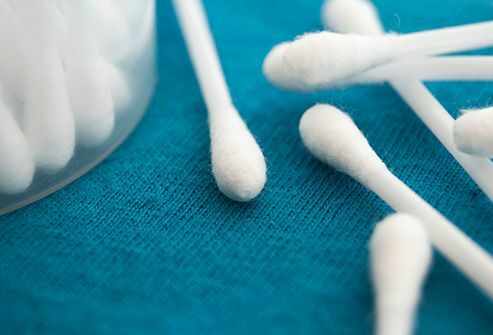 Earwax is a healthy part of your body’s natural defenses, not a sign of illness. If your ear hurts or is itchy, or you feel like there’s something in there, talk to your doctor. Today, the pain may be worse than it was in 2014, but Scheib is better. 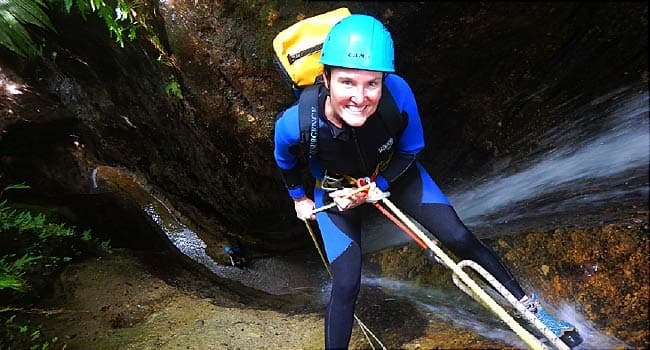 She says that’s because she stepped off the well-trodden path of lifelong prescription painkillers and took the less traveled road of pain management — a combination of pharmaceutical and non-pharmaceutical treatments that gave Scheib her life back. Access to painkilling medications that can’t cause addiction, abuse, and overdose would make life easier for prescribers and could save the lives of patients. Development of such drugs has been slow-going, in part because scientists don’t completely know how chronic pain works. They believe the body has multiple pathways to chronic pain, and that means multiple targets for painkillers. But researchers don’t have proven ways to identify which pathway is causing the pain in each person. What condition do more than 100 million Americans share — maybe including you? Whether it’s caused by arthritis, migraines, fibromyalgia, or bad backs, chronic pain — the kind that hangs on for weeks, months, or years — can change your life. Never ignore pain. Whatever the intensity — mild, moderate or severe — treatment usually can help. She learned about a pain rehab program in her area that put many methods into one treatment plan. There, 2 years after that fateful Labor Day weekend, she had physical therapy, talk therapy, swim therapy, meditation training, hypnosis, yoga, and biofeedback — a treatment that uses electronic monitoring of seemingly involuntary bodily functions (such as pain) to teach a person to control it. The most powerful tool in my toolbox is my ability to be positive and hopeful. 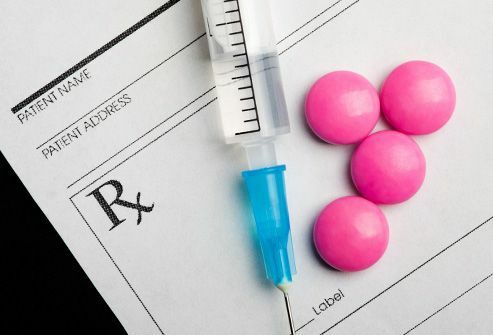 The amount of opioids prescribed after gynecologic surgery declined by almost 90% with few complaints from patients after implementation of a restrictive prescription protocol, as reported here at the Society of Gynecologic Oncology (SGO) meeting. 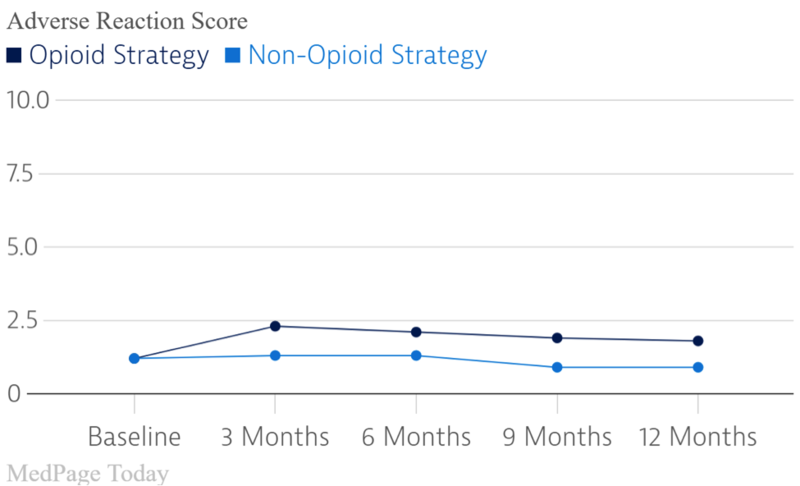 Over a 6-month period, the total opioid pill count declined by 89% as compared with historical prescribing practices. The total included a 73% reduction the number of pills dispensed after open surgery and 97% after minimally invasive procedures. 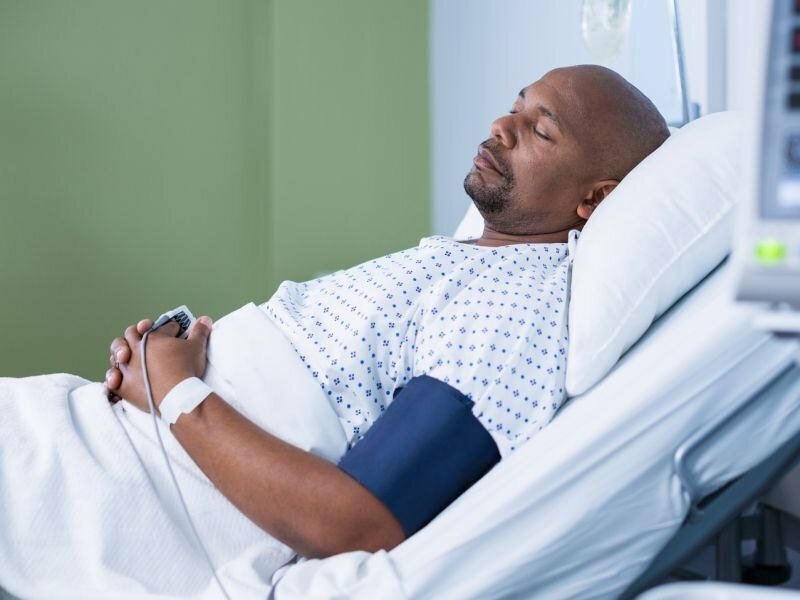 Patients undergoing ambulatory/minimally invasive procedures and with no history of chronic pain received only prescription-strength ibuprofen or acetaminophen at discharge. Those with a history of opioid exposure or chronic pain, received a 3-day supply (12 pills) of hydrocodone-acetaminophen (Norco) or oxycodone-acetaminophen (Percocet). Patients undergoing open surgery received either nonopioid pain medication or a 3-day opioid prescription at discharge. If a patient used an opioid for pain in the previous 24 hours, then a 3-day supply consisting of 24 pills (two every 6 hours) was prescribed. More than 90% of patients went home without an opioid prescription after minimally invasive procedures, and fewer than 5% of patients expressed dissatisfaction with their doctors’ prescribing practices under the restrictive prescribing protocol, said Jaron D. Mark, MD, of the Roswell Park Comprehensive Cancer Center in Buffalo, New York. Principal investigator Emese Zsiros, MD, PhD, also of Roswell Park, said the key factor in reducing opioid use after gynecologic surgery was setting appropriate expectations about pain management in advance of surgery — for clinicians and patients. A second study reported at SGO documented overprescribing of opioids for minimally invasive hysterectomy. Patients routinely went home with an opioid prescription, but almost a third used none of the pills. The vast majority of patients used only a portion of the prescription, reported Erica Weston, MD, of Johns Hopkins Hospital in Baltimore. Taken together, the two studies showed that most patients undergoing gynecologic surgery — open or minimally invasive — require little or no opioid medication, said invited discussant Sean C. Dowdy, MD, of the Mayo Clinic in Rochester, Minnesota. Availability and use of nonopioid alternatives and preoperative education of patients are critical elements in a strategy to reduce opioid use. Dowdy called for the development of procedure-specific guidelines for opioid use, which he helped develop at Mayo and will describe in detail at an upcoming meeting. Noting the lack of guidance in the medical literature, Dowdy and colleagues reviewed historical data encompassing 2,500 patients, 25 procedures, and 10 subspecialties. They then performed a survey of outpatient opioid prescribing practices covering a similar number of patients, procedures, and subspecialties. After reviewing the data, surgeons at Mayo implemented a restrictive prescribing protocol similar to the one described by Mark. Dowdy said they expect to cut opioid use by 1.5 million pills a year. However, he cautioned against allowing the prescription pendulum to swing too far in the direction of restrictive practices. “There is no question that our current state is overprescribing, but we need to be very careful not to overcompensate and move to a state of underprescribing,” said Dowdy. “These guidelines apply to acute, postsurgical pain. They do not apply to management of chronic pain and certainly not apply to patients in the palliative-care setting. Prior to implementing the restrictive protocol, Mark and colleagues surveyed U.S. gynecologic surgeons about their opioid prescribing practices. For patients undergoing minimally invasive procedures, half the surgeons prescribed 15-20 opioid tablets at discharge, and another 28% wrote prescriptions for 21 to 40 pills. For patients undergoing open surgery, two thirds of surgeons prescribed 21-40 opioid tablets and discharge, and 13% prescribed more than 40 tablets. The restrictive protocol was evaluated from June 2017 through January 2018 and included 337 patients. Investigators compared the results with a control group of 626 patients who underwent similar procedures in prior years. 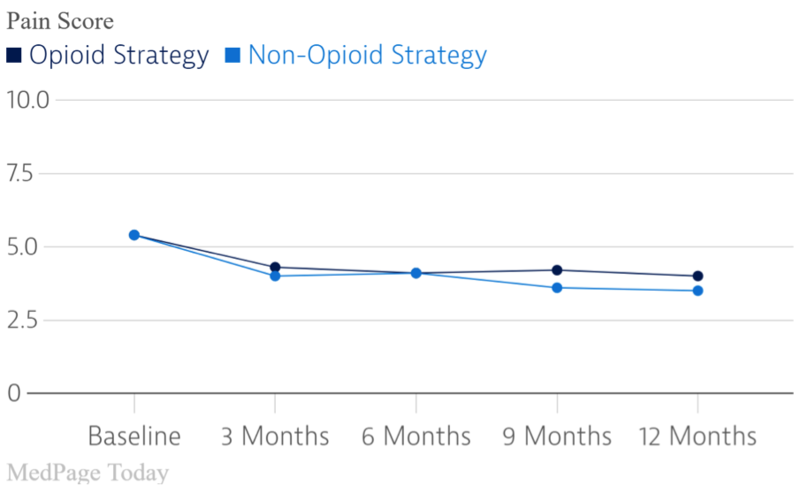 Overall, the average number of opioid tablets prescribed at discharge declined from 31.7 to 3.5, an 89% reduction. The total reduction included a 73% decline in average pill count for patients who had open surgery (43.6 vs 11.6, P<0.001) and a 97% decrease among patients undergoing minimally invasive procedures (28.1 vs 0.9, P<0.001). The proportion of patients discharged with no opioid prescription after minimally invasive procedures increased from 19.6% to 92.6% (P<0.001). The average number of opioid tablets prescribed for patients with no prior opioid use declined from 31.7 to 3.1 (P<0.001) and from 31.6 to 6.2 among opioid-dependent patients (P<0.001). The proportion of patients requesting refills within 30 days after surgery did not change significantly. Mean postoperative pain scores were virtually identical before and after implementation of the restrictive prescribing protocol (P=0.34). Weston reported findings from a prospective cohort study involving 114 women who underwent minimally invasive hysterectomy. The patients received an average of 3 opioid doses while in the hospital, and all were discharged with opioid prescriptions, averaging 30 pills per prescription. Weston said 25 patients used no opioid medication during hospitalization. The women were surveyed regarding opioid use at follow-up visits 1-2 weeks after surgery and again at 4-6 weeks. At the first follow-up, 45 patients (36.9%) reported no opioid use since discharge, and the median number of pills used across the entire cohort was nine. At the end of follow-up, 37 patients (32.5%) had used no opioids, and the median number of pills since discharge was 11 for all 114 patients. 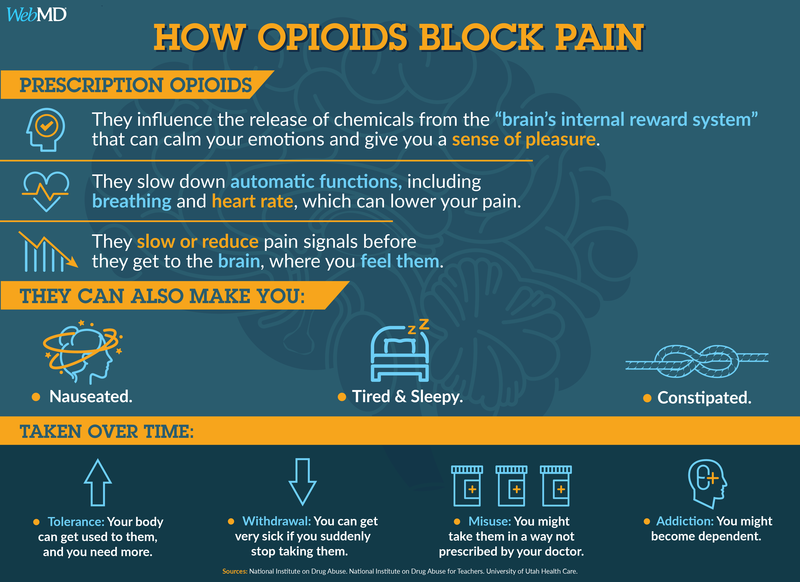 How Necessary Are Opioids for Chronic Pain? The continued ravages of the opioid epidemic have prompted researchers to reconsider whether opioids are an appropriate treatment strategy for chronic non-cancer pain. In this 150-Second Analysis, F. Perry Wilson MD, MSCE, looks at a trial appearing Tuesday in JAMA that compared opioid to non-opioid therapy in patients with chronic knee and back pain and found virtually no data to support using opioids in this setting. When two treatment modalities are being compared, I can usually find something positive to say about both of them. But today we have this study, appearing in the Journal of the American Medical Association, comparing opioid to non-opioid regimens for chronic back or knee pain and I am hard-pressed to find a single data point that argues FOR the use of opioids in this setting. The opioid group first tier was characterized by short-acting pain killers, then escalated to longer acting agents, and finally capped out with transdermal fentanyl. The non-opioid regimen was a bit more clever, in my opinion. Tier 1 was acetaminophen and NSAIDs. Providers could then escalate to other oral meds (I particularly like the underused amitriptyline appearing in this tier) and topicals, and finally capped out with tramadol. Times have certainly changed. But regardless, only 13 patients in the non-opioid group ever required escalation all the way to tramadol. And the results did not look good for opioids. The primary outcome was pain-related function which improved substantially in both groups but did not differ between the groups. Raw pain scores ended up being a bit better in the non-opioid arm. Adverse events, as you might expect, were significantly higher in the opioid group, but fortunately no opioid abuse was detected. One common criticism you hear about opioid trials is that researchers simply didn’t give enough – if they had titrated up more aggressively, patients would have better pain control. While the investigators limited the total morphine equivalents to 100 mg per day, Dr. Krebs told me very few patients bumped into that ceiling. Are opioids dead for chronic back or knee pain? I think they are on life support. But the real key to this study was the careful titration of non-opioid pain medication in that group. Most of us try Tylenol and Advil and then give up. With close monitoring, patient feedback, and a willingness to try multiple interconnected agents including tricyclics, physicians may find that treating chronic pain is not so painful after all. The problem of opioid addiction now affects us all. For me, the biggest shock came when one of my patients, former National Football League quarterback Erik Kramer, tried to commit suicide after his 18-year-old son, a high school quarterback, died of a heroin overdose. It’s a vivid illustration of the way the ripples from drug abuse are becoming a tsunami that destroys not only the addicted but everyone around them. As sports physicians, we must do our part to beat back the waves, beginning with our approach to controlling patients’ pain. The magnitude and complexity of the problem makes it truly daunting. In the year ending July 2017, a total of 66,972 people died of drug overdoses in the United States, a 14.4% increase over the previous year. That includes more than 115 deaths from opioids per day. These overdoses are killing Americans at a faster rate than the AIDS epidemic at its height. 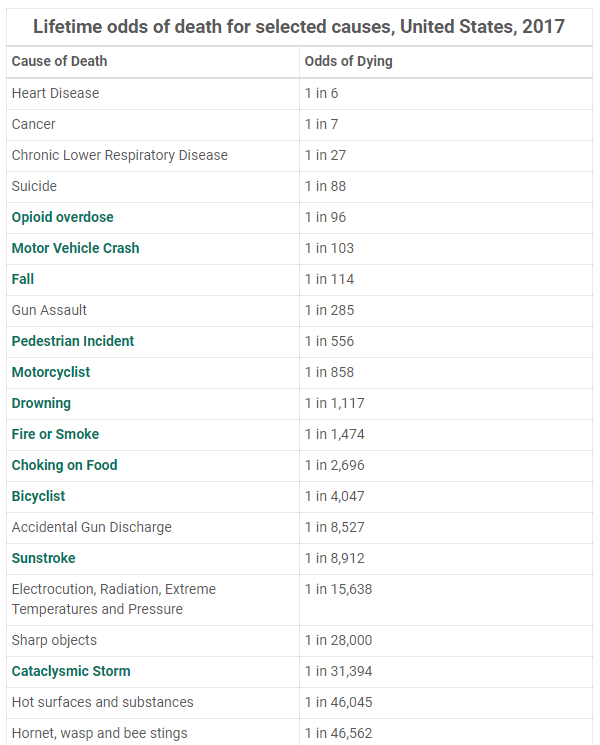 They are killing more than the number that die from traffic accidents or suicides. More have died from opioids than were killed in the entire Vietnam War. To understand how we can stop this epidemic, it helps to know how we got here. In the 1990s, drug makers convinced doctors’ associations and government policy makers that new formulations of opioids such as OxyContin would not addict patients, and that they were essential to control pain. Prescriptions soared. 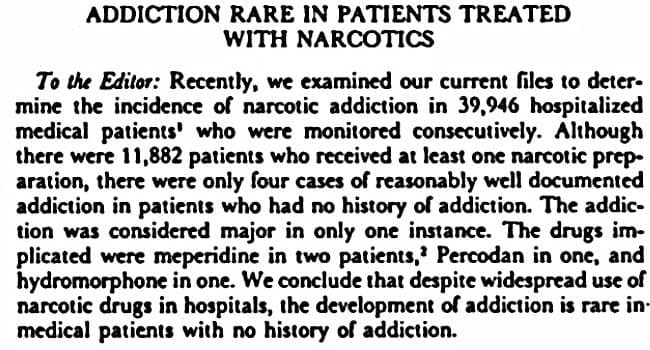 But patients did become addicted. One study found that 8.2% of patients who took opioids for the first time after total knee arthroplasty were still using them 6 months later, despite weak evidence that the drugs are effective for chronic pain management. Not only does abuse of these prescriptions kill thousands, but for many people, these medications serve as a bridge to illegal drugs. The amount of opioids prescribed in the United States peaked in 2010, but doctors still wrote 70 opioid prescriptions for every 100 people in 2015, three times more than in 1995 and four times more than in Europe. For the clinician, the phenomenon poses a complicated challenge. 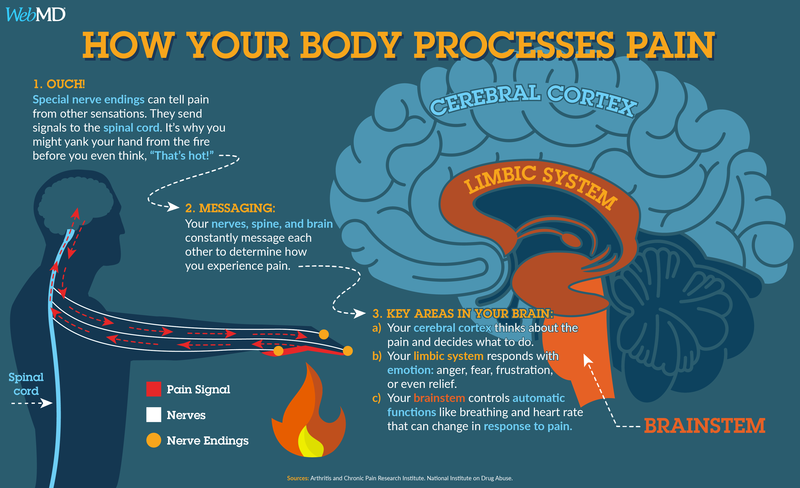 We cannot ignore our patients’ pain. But we usually can’t tell which patients are at risk for addiction. We also usually don’t know when they are suffering from other mental health problems. To play our part in addressing this national problem, sports physicians must start by recognizing the magnitude of it. I’d like to see addiction come out of the closet. It should be a medical diagnosis like any other, so that patients can freely discuss whether they have struggled with it in the past, gone through rehabilitation, or are still misusing drugs. As it stands, most people can’t get coverage for addiction treatment, and rehabilitation programs are relegated to the margins of medicine. As physicians, we must attend to the psychological, emotional, and addictive aspects of our patients’ lives, even when the healthcare system does not. Sometimes we can make a difference in surprising ways. When I was in medical school at Washington University in St. Louis, Missouri, I trained to run a marathon. Every day I ran to the hospital. One day I passed my patient who was at the hospital for mental illness, and he asked me why I was running. I told him it made me feel good. “Would it make me feel good?” he asked. “I bet it would,” I answered. And after getting permission from his head physician, I took him for a run. He could barely run a quarter mile, but he came back saying how good it made him feel. So the next day we ran again, and the next day after that. I believe that exercise empowers people to discover that solutions are within them. It would be naive to think that running is all that the average patient needs to recover from addiction. But in combination with behavioral modification and addiction medications such as methadone, it can provide powerful benefits. I’ve found it essential in my practice to develop relationships with rehabilitation programs to which I can refer my patients. I’ve referred some to in-patient 30-day detoxification followed by outpatient rehabilitation. Other patients come to me already enrolled in rehabilitation programs. In Malibu, there are several programs that attract patients from around the world. They come to me with sports medicine problems while they’re in town. It’s very important to be aware of the complexity of these patients and work closely with their other physicians to coordinate the medical management with the addiction therapy, especially to know which drugs to prescribe and which ones to avoid. I’ve also treated patients who injured their knees because a drug abuse problem led to a car crash. These patients may be enmeshed in legal problems and enrolled in rehabilitation but are continuing to abuse drugs and are unable to comply with my advice for recovering from surgery. These very complex patients require careful management. I spend a lot of time on communication when treating them, trying to preempt problems. To provide such patients with the best possible care, I have worked closely with rehabilitation programs, such as Beit T’Shuvah in Culver City, California. With runners enrolled there, I’ve talked about the principles of my book, The Win Within, which shows readers how to modify their own behavior. The second step we can take to prevent opioid abuse is to address our patients’ pain carefully and systematically so that they can manage without opioids. My goal is always to create for my surgery patients an experience that is devoid of pain. I follow the motto “No pain is your gain,” because it’s not just the best approach for my patients’ health; it’s the best possible way to promote my practice. A lot of surgeons routinely send patients home with prescriptions for 30 hydrocodone/acetaminophen or oxycodone tablets. I’ve moved away from prescribing those drugs, along with codeine and most of the other opioids, because of my concern about addiction. Instead, I rely on preemptive blocks and long-acting liposomal local anesthetics. Typically, I inject ketorolac into the area around the joint before, during, and after the surgery. After surgery, I prescribe a variety of acetaminophen and nonsteroidal anti-inflammatories. I recommend ice, compression, and sometimes electrical stimulation. Only when these measures fail do I prescribe tramadol, a synthetic opioid. It does have some addiction potential, but much less than hydrocodone, codeine, or oxycodone. I also have a discussion upfront with the patient about my strategy to create a pain-free experience for them. When patients ask for opioids, I tell them I’m very effective at pain management and that my surgical technique aims to avoid causing pain in the first place. That works about 98% of the time. Over the years, a handful of patients have tried to manipulate me for opioid prescriptions. For this reason, I pay close attention to the reports I get from central databases that track patients’ prescriptions from one pharmacy to another. The most dramatic report I ever received concerned not a patient but another physician, who got the license and Drug Enforcement Agency numbers of several of his colleagues. I got a report saying that I’d written about 30 prescriptions for him in 1 year. Several of us spoke to him, and he entered a rehabilitation program. Success in managing patients’ pain requires careful monitoring. I ask patients to score their pain on a 1-10 visual analogue scale. Not only does this help me analyze the situation of an individual patient, but it allows me to evaluate my success across my practice by averaging the scores of dozens of patients. And by participating in the Arthrex Surgical Outcomes System, I can compare my results with those of other physicians. I challenge all physicians to take on this level of pain management. Although I feel confident in my approach, I also think surgeons’ options are limited until our healthcare system finds a better approach to mental illness. Many people become addicted to opioids not because they got prescriptions after surgery, but because it’s the only way they know to douse the flames burning inside their heads. So the problem is going to require attention from politicians as well as doctors. The purple ribbons that some members of Congress wore at the State of the Union Address in January provided a reminder of the problem, but we need much more than that. As I write this, we don’t even have an administrator for the Drug Enforcement Agency. All of us must work together to develop comprehensive solutions of prevention and caring to bring an end to this crisis. The leaves of the kratom plant, which is native to Malaysia, are traditionally crushed and then made into a tea to treat pain or heroin/morphine dependence (by reducing withdrawal cravings). And according to its 3 to 5 million U.S. users, it’s a game changer and a life saver. “To better understand the plant, the FDA conducted computer modeling that predicted that many of the chemical compounds found in kratom bind to the same receptors as narcotic drugs such as oxycodone and hydrocodone. If the FDA continues to paint with such a broad brush, it could potentially put serious regulations on kratom’s study and use and that could be devastating to many people. We’ve been watching this story since 2016 and will continue to do so. If the FDA really just wants to protect people they need to make the drug available for proper “intact animal models and humans”6 rather than simply write it off. FDA and Opioids: Too Much Regulation or Not Enough? If the FDA is looking for a streamlined approach to respond to the opioid crisis, it didn’t come from a public meeting of the agency’s Opioid Policy Steering Committee. At the meeting Tuesday, academics, physicians, patients, advocates, and industry officials shared sometimes conflicting recommendations on how the FDA can best handle the problem. Advocates generally fell into two camps: pain patients and their supporters, concerned that opioids are being over-regulated and becoming harder to access, and people who have lost loved ones to addiction and overdoses, and would like to see stronger restrictions on such products. In September 2017, the FDA issued a request for comment, which said the national crisis is one that requires “action by federal agencies that may in some instances be unprecedented.” The notice solicited public input to help the agency determine what it should leverage to respond to the crisis. President Trump declared the opioid epidemic a public health emergency a month later. Approximately 64,000 people died from opioid overdoses in 2016. How can the agency use the available public health data to influence opioid related regulatory decisions? What changes can the agency make with regard to “dispensing and packaging” to encourage proper prescribing practices? Should mandatory education be required for clinicians who prescribe opioids? 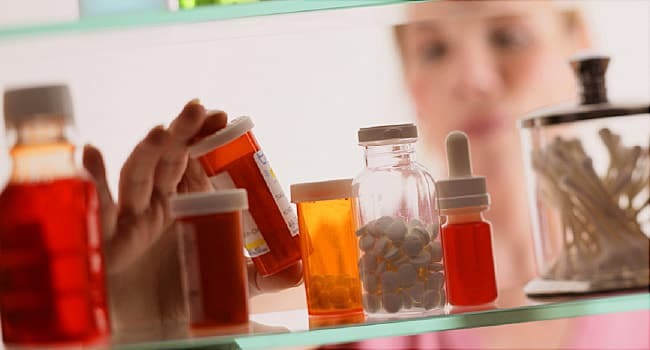 At the recent meeting, agency officials also discussed whether to specify dose limits, the creation of a nationwide prescription history database, and how to assess the impact of prescription drug monitoring programs (PDMP). “If … the goal is to make people learn and change the behavior and practice, that doesn’t happen with mandatory education. That happens with voluntary education,” he stressed. Kahn said he has discussed the idea of an “adaptive learning” approach with the Centers for Medicare and Medicaid Services. He said he has hopes that such an approach might count as an improvement program under the Merit-Based Incentive Payment System (MIPS). Another concern is the language used to describe opioids, stated Diana Zuckerman, PhD, of the National Center for Health Research. She said “abuse deterrent” may mean different things to doctors, patients, and family members. But Zuckerman also questioned the value of REMS itself, claiming that the “vast majority” of physicians don’t even know REMS exists. Following the implementation of REMS, one prescriber-based survey found 48% of respondents said they did not change their prescribing habits, she noted. Also, while 49% said they made use of the patient counseling documents, that means roughly half did not, she added. On the advocates’ side, Richard Lawhern, PhD, co-founder of the Alliance for the Treatment of Intractable Pain, urged the FDA to “stand down” from additional regulations on opioids. Emily Walden, of Louisville, Kentucky, called on the FDA to remove the highest dose opioids from the market and “immediately delay any new approvals.” Her 22-year-old son died because of an opioid addiction, she said. Other topics discussed at the meeting included the need to increase e-prescribing, improve PDMP, and integrate both into electronic health records (EHR) systems. Robert Heary, MD, of the American Association of Neurological Surgeons, suggested providers complete a short (less than 5 minutes), standardized form, with each opioid prescription, to explain why the prescription is medically justified. If a national PDMP were established, data from those forms could feed into it and be cross-checked at the pharmacy. He noted that having a connected PDMP would prevent doctor-shopping across state lines. Janet Woodcock, MD, director of the FDA’s Center for Drug Evaluation and Research called it a “bold proposal,” but questioned how much of a burden these additional measures would be for providers. While physicians may prefer e-prescribing, the pin numbers, passwords, and authentication processes can be “onerous” and may take time away from direct patient care, she added. (HealthDay)—Opioid painkillers after surgery can be the first step toward addiction for some patients. But a common drug might cut the amount of narcotics that patients need, a new study finds. “Our country is facing an opioid crisis, and a lot of people are exposed to opioids after surgery,” said researcher Dr. Sean Mackey, chief of the division of pain medicine. Gabapentin (brand names: Neurontin, Gralise) is used to help prevent seizures and ease nerve pain from shingles. It’s available as a generic, so it is inexpensive and covered by most drug plans. Now, it appears to reduce the time patients feel they need opioid relief by a “modest” amount, the researchers said. “This means that people are less likely to become addicted to opioids and less likely to have the side effects of an opioid,” Mackey said. It’s not clear how gabapentin might reduce the need for opioids, Mackey said. Perhaps it’s changing brain chemistry after surgery, he said. “It’s probably having pain-relieving properties along with the opioid, and you don’t need so many opioids because the effects of the gabapentin are long-lasting,” he said. It’s also possible that gabapentin might benefit patients with pain from trauma. Given in the emergency room, it might help reduce the need for opioids, and thus help to prevent addiction in that setting, he said. “This and other studies have reported that the duration of opioid administration may impact whether or not patients transition to chronic opioids after surgery,” said Ashburn, co-author of an accompanying journal editorial. 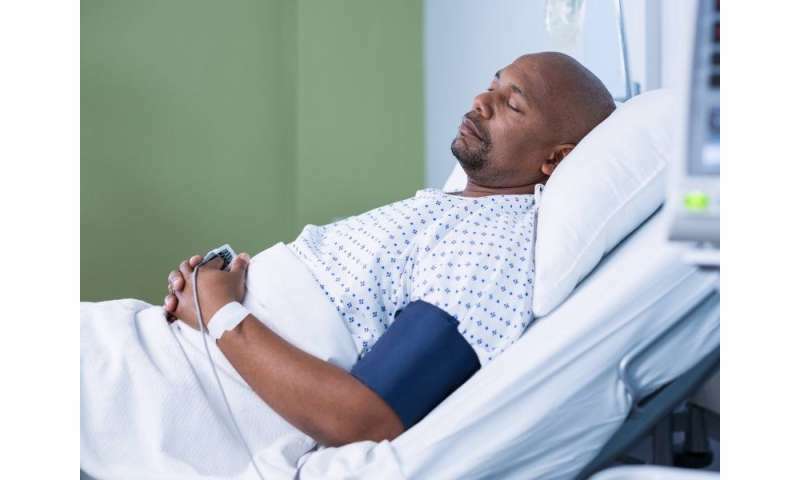 Although gabapentin doesn’t seem to reduce the length of time it takes for pain to cease after surgery, it “may allow for opioids to be discontinued more quickly following surgery,” Ashburn said. “I am constantly looking for ways to reduce opioid requirements and to get patients off opioids so they don’t transition to chronic opioid use,” said Patel, an anesthesiologist and pain management specialist at the hospital. There are ways to manage pain aside from opioids and anti-inflammatories after surgery, she noted. “Incorporating them with the right patients, we might be able to reduce their overall use of opioids,” she said.